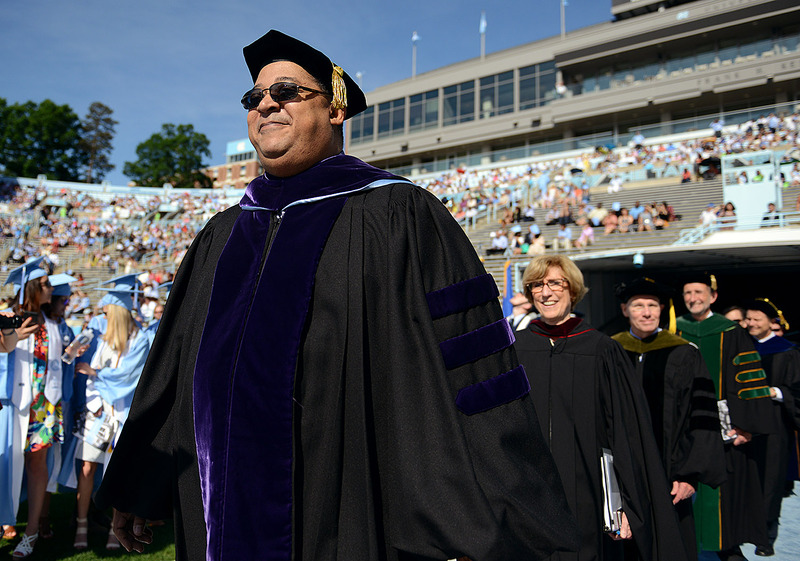 After 26 years of service to Carolina, Vice Chancellor for Student Affairs Winston B. Crisp ’92 (JD) plans to retire in October. A 1989 graduate of Johnson C. Smith University before studying law at Carolina, Crisp became the law school’s first assistant dean for student affairs and the first associate dean for student services. In those positions, he played a key role in strengthening coordination among the academic program, financial management, outreach and student support areas. In recognition of his extraordinary leadership, the Student Bar Association established the Winston B. Crisp Award in 2005 to recognize students who personify those qualities. In 2005, Crisp became assistant vice chancellor for student affairs and served as dean of students. He was named a vice chancellor in 2010. Last year alone, student affairs conducted more than 1,200 workshops and events, employed nearly 1,500 students and supported approximately 780 student organizations. Known to students by his Twitter handle “Vice Crispy,” he concludes his tenure at Carolina having served thousands of students and families. Earlier this year, Crisp led the effort to convene a mental health task force to assess the scope of mental health care needs for Carolina students and to provide recommendations to the administration and the Board of Trustees on policies and programs related to mental health care. He also co-chairs the Chancellor’s task force on history which is working on the telling of the full, complete and accurate history of the University. Christi Hurt ’93 (’98 MPA), assistant vice chancellor for student affairs, will serve as interim vice chancellor until a successor is appointed. A national search is planned.